Our web platform (RunPage) offer marathon finishers a personal web gallery with their photos, results, 3D map and more. We need to create a short (~20 seconds) video clip to promote this solution to our clients. * Clip should use 3D effects to highlight the RunPage web page and it's different parts. * Feel free to use marathon/race runners footage as the intro/outro/background. * Clip should include and highlight main messages as appear in the attached RunPage-Ad image. * RunPage logo files attached. Hi! What can You say about #5 ? I made adjustments according to your comment. Thanks. Please check #10 #11 #12 #13 , these different types of videos please check out, thanks. Please check my work #7 (happy number:)! Feedback please! Working on your video! Wait a little bit! Is it all about the website promotion right, only website features should be included in the promotion? 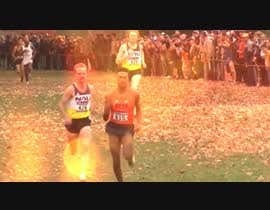 Basically yes, but as indicated in the brief you can (or better) include some race runners footage at the intro/outro (or any other element you think will make the video better)!